We finally made it to Fayetteville, North Carolina. It was so stressful; moving can be so crazy and will drive you insane! LOL! We are still looking for a house to buy. Found one house that is really amazing and I fell in love with it, but it is a little expensive. I am hoping that the owner will agree to our price. Cross fingers! Good luck for us! Anyways, I asked my friend to take picture of the dress and her daughter wearing it. Her daughter was a little grumpy but she made managed to snap a photo for me. 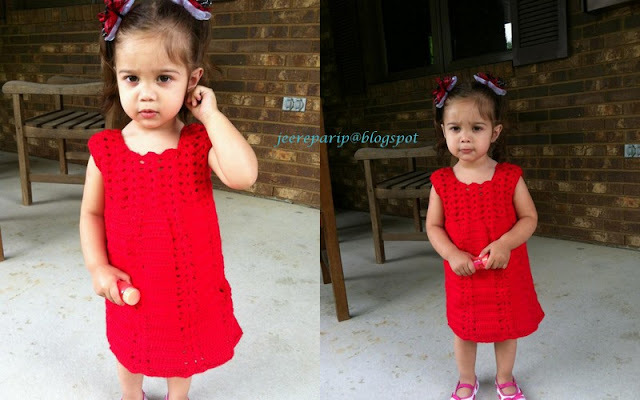 The pattern was from the baby issue of crochet today! It was the blue dress I forgot the page number. 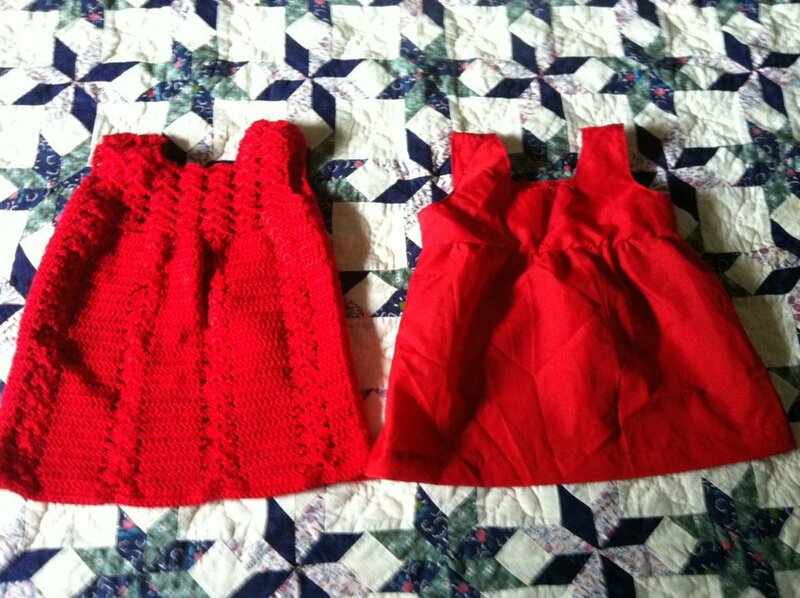 I only have red soft yarn so, my version was red color. So, here’s my model she is a sweetheart. The pattern of the dress was for summer for toddlers but it was shell stitches so, I asked my aunt to sew a lining for it. Oh wow! Such a sweetie! I love the lining too, you must be very busy! Hope you get the house soon. Those angry bird hats in your previous post are so cute, I must make one for my niece! Thank you for sharing! Hope your new week is gorgeous!! !